CHA Winter 2012 Release - Sugar & Spice Collection is the third collection that we're featuring here on our blog. Yesterday you got to see the fun Snips & Snails Collection and wasn't it cute?! There is also lovely pink Storybook Album in 8x8 and 12x12 that coordinates perfectly with this collection. 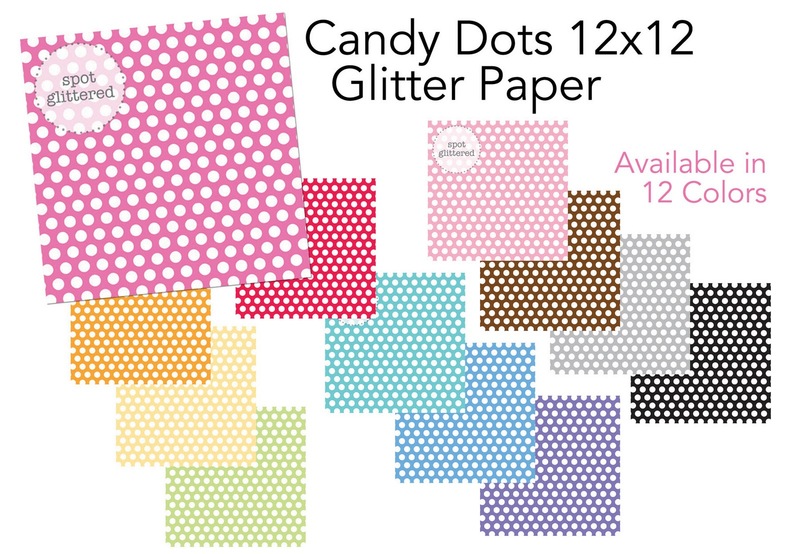 Here's another fun addition to our already popular line of Glitter Papers are the 12 new Candy Dots glitter papers. How yummy are these fun papers?! I love it! Off to post on Two Peas!!! very cute, shared on Facebook with my pals! Another beautiful collection.... off to my email! I am letting my scrappy bff know that this is up! She loves brown and pink together! So cute! And the glitter dot paper- love it! LOVE! Love the sugar and spice collection, but those dots are timeless and LOVELY! 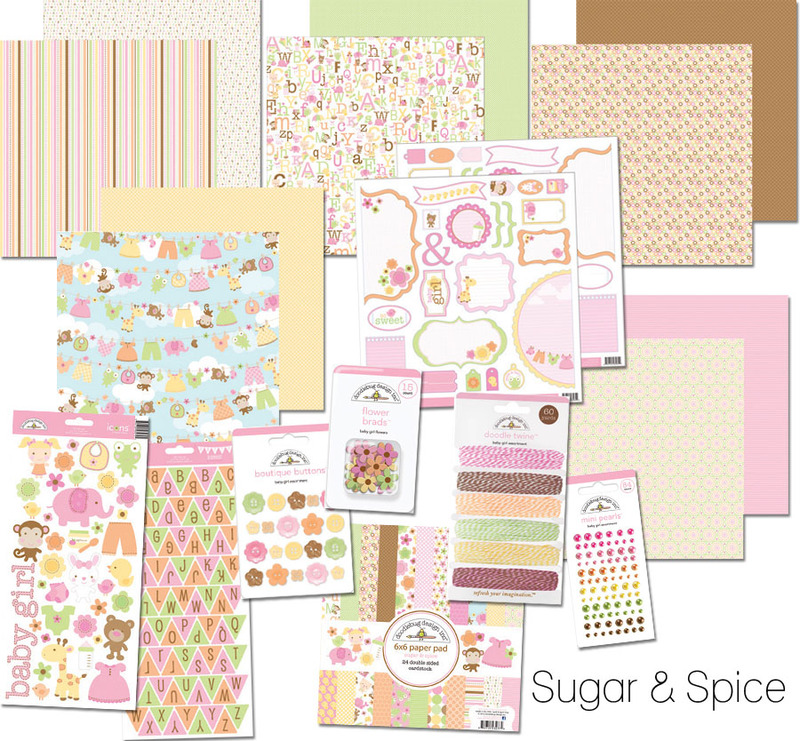 Posted about the wonderful Sugar & Spice Collection giveaway with link on my blog sidebar. I have the perfect pictures for this paper line. I shared on facebook. So cute! I love the color combo! Just adorable! This is lovely and sweet! Shared this collection on my FB page! I emailed, blogged and shared on Facebook. I don't tweet, so I missed that one. LOL! I am loving the new collections!! 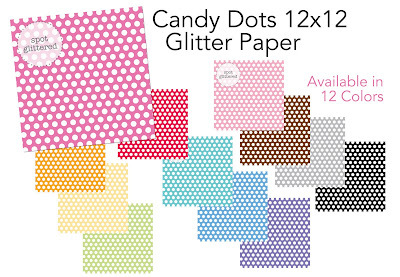 Love the Candy Dots Glitter paper! Pinned it. I shared the sugar n spice with my co-workers. We oohed and ahhhhed over it. Cute! I just shared on google+! Shared this adorable line with everyone I know - any way I could!!!! So so sweet! I am sharing on FB! Beautiful! I shared on FB. So Cute! Shared through email with our scrapbook group and I shared on Facebook and Pinned it on my Pinterest board! Wow I love this collection. Thanks for the chance. I also shared on facebook!!!! Will be emailing this to some friends. I have 3 that are expecting. I love this collection. My favorite one so far! I shared on facebook and emailed some scrappy friends! This is so cute!! I have shared on facebook. Love it-I have three girls and this would be perfect for their baby pictures! Emailed it to show it off! So sweet! Told all my scrappy friends!! Just shared on Facebook. Love the new glitter dot paper! Just shared on twitter too! Phoned my daughters and told them to check out the webpage! Love the collection! Love the pink and brown! Told my scrappy friend that's nuts about db to check it out. Please sell your paper KITS at Hobby Lobby! It is the only place near me in Wyoming! I love that they have your stickers! I need the new kits! Wow! Just adorable! I want the whole kit and kaboodle! Love this line! Posted to FB and sent an email to some of my scrappy friends! I don't tweet - but if I did I would spread the word there too! Love your stuff! Thanks for the chance to win some!!! Total cuteness! 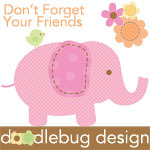 I've pinned this pic to Pinterest to help spread the Doodlebug love! I love it, so sweet. I shared on Facebook on my page. Told my sister about these great products via email...thanks for the chance to win! Makes me wish I had a little girl! E-mailed to my girlfriends! A-dorable, I need 4 sets, please! How soon can I get it! I tweeted to my peeps! Y'all never cease to woo me! I shared it on facebook, too! THis is ADORABLE!! I posted about it on my blog! I told my friend about this line too in a phone call! I also emailed my friends about this line! how sweet! my little cousins would love this! What a great girly collection!! I have the perfect subject for these! She's a lot sugar and a lot spice!